The new Advanced Practi Man Single with Carry Bag & Mat. Advanced Practi Man can be used as an Adult or Child Manikin with inbuilt chest clicker. Adult, Child & Neutral positions. Realistic head tilt & chest rise, nose pinch. Light weight & portable. Can be used with any AED Trainer. 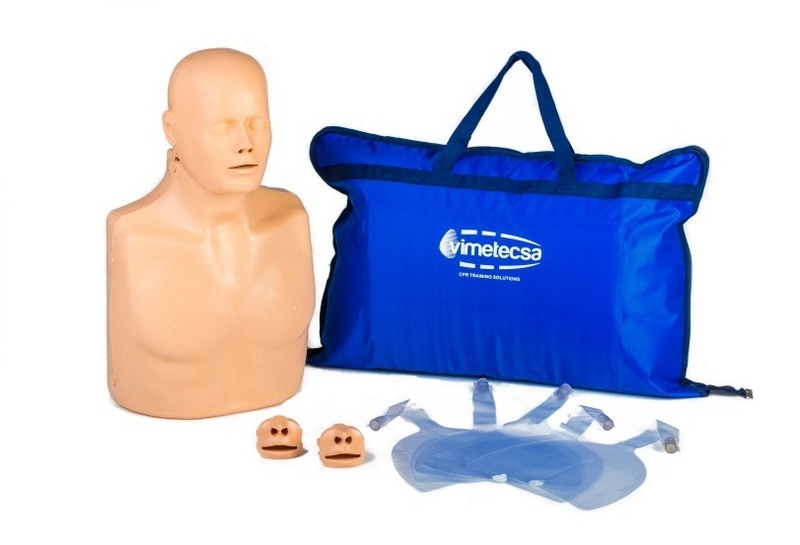 In our opinion this manikin is realistic, great value for money and a fantastic choice for any first aid trainer.